The design tour gives an experience of Bhutan's unique culture and traditions. Within the folds of Bhutan's mountains lie sacred temples, dazzling rice fields, and villages unchanged by time. On this magical journey, experience the wonders of the last Mahayana Buddhist kingdom of the Himalaya. Hike to ancient dzongs, meet local families, wander through serene monasteries, discover unique artistic traditions, and witness one of Bhutan’s spectacular local festivals. The wonder of Bhutan is the traditional architecture which is well preserved and also blends perfectly with the landscapes. The lives of the people are intertwined with religion, society and the nature. 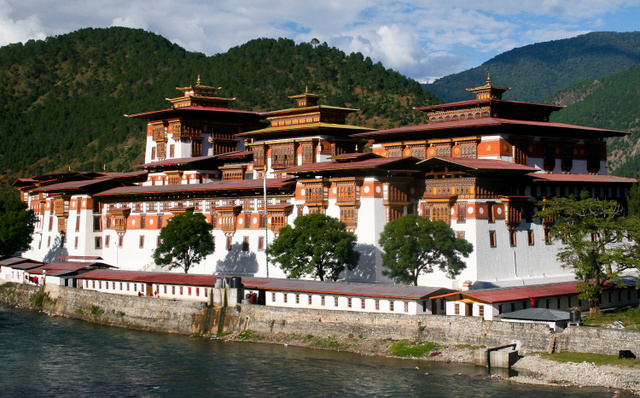 During this one week period in Bhutan, you have enough time to enjoy its charm at a leisurely pace. The wonder of Bhutan is the traditional architecture which is well preserved and also blends perfectly with the landscapes. The lives of the people are intertwined with religion, society and the nature. If you are staying in hotel Meri Puensum, hotel Zandopelri or hotel Densa, early morning it will be a treat to walk up to the hilltop to visit the nunnery and interact with the nuns and enjoy the magnificent view of Punakha and Wangdi valley. Later after breakfast drive to the remote isolated valley of Phobjikha. En route could stop for a short hike to the ancient village of Rinchengang overlooking the ruins of Wangdi Dzong. It’s amazing how they have managed to be together and preserve the old houses. If you are tired to hike, could do it on the way back. The drive is very picturesque and worth every turn and climb. This valley is protected being winter home for the endangered Black Necked Cranes migrating to Bhutan every end of Oct to end of Feb. This valley is a paradise for the nature lovers and hikers. Upon your arrival could go for a short walk in the valley. Or if you are too tired after the long drive, could relax in the hotel and enjoy the breathtaking view of the valley. This is a very remote village and the hotel standard is very basic. Being protected, this valley got electricity recently only. Farm house stay optional. Today, will be a very relaxing day. Morning could go for walk right below your hotel and meet the school children who all walk for hours to reach their nearest school. Or if you wan to relax and start very late, today is the right day to make it happen. After late breakfast could go for Phobjikha Nature trail hike (2.5 Hrs), which offers beautiful view of the valley. It starts from the valley and end with Gangtey Goempa temple at the hilltop overlooking the valley. Gangtey Goempa temple is a beautiful temple, richly renovated with many monks living. Could also visit the Crane Canter supported by the RSPN. Can have an option to visit a village and a farmhouse for lunch/dinner. Morning retrace the drive back to Paro crossing over Dochula La pass. Upon arrival in Paro, visit Paro Dzong (Fortress) on foot and continue walking through the oldest wooden bridge still in use. 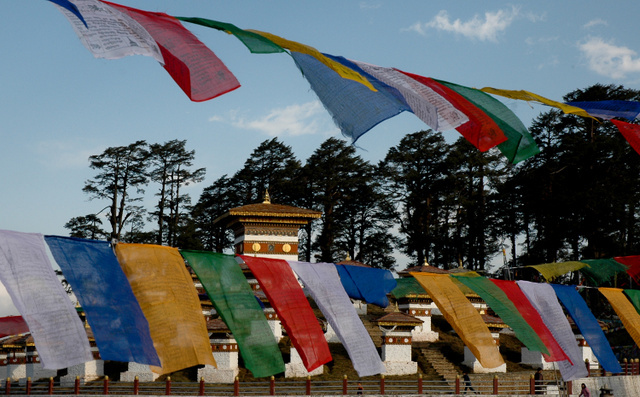 Continue further to stroll around the old Paro town and peep into some local handicrafts stores. Could get some opportunity to see the traditional game, Archery match going on. Evening back to the hotel.